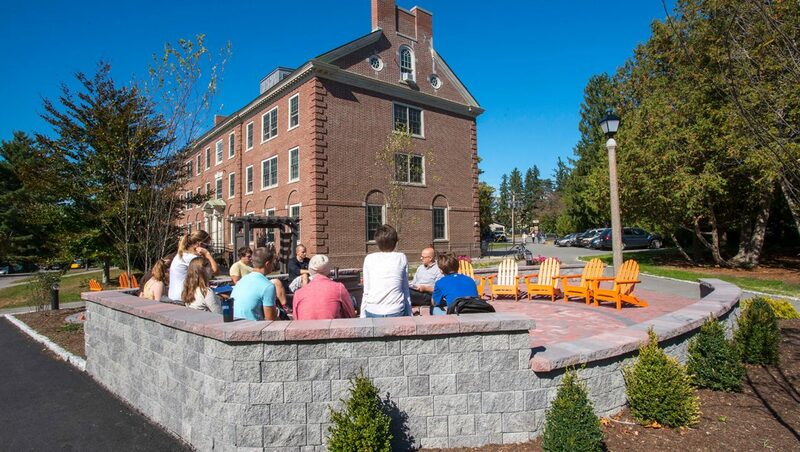 Constructed as an outdoor classroom and gathering space, Charlie’s Terrace honors the late Charles Slavin, a dean of the Honors College. The campus is home to a number of memorials to individuals committed to UMaine and whose lives touched countless others. This memorial is one of the largest and most striking of those memorials. Design and landscaping elements — including an entrance arbor-pergola, seating (including Adirondack chairs), lighting, trees and plants and commemorative bricks — contribute to the utility, beauty and meaning of the memorial.